Sorting enables workflow personalisation, optimising performance and efficiency. Built in common tasks list results in rapid task creation and reduced typing. Task colour coding increases task visualisation and urgency. Task completion boxes allow all team members to observe task completion. Increased visibility facilitates efficient cross-team support, task and team member reallocation. Post treatment information allows teams to learn, improve, and innovate resulting in improved planning and outcomes. Unprecedented visibility clearly identifies patient progress and discharge status leading to higher bed vacancies. Secure patient centric messaging ensure all team members are across current patient statuses and notes. In app image capture and sharing maintains patient confidentiality and hospital ethical standards. Rounds works with existing platforms for rapid deployment and negligible interruptions to existing processes. 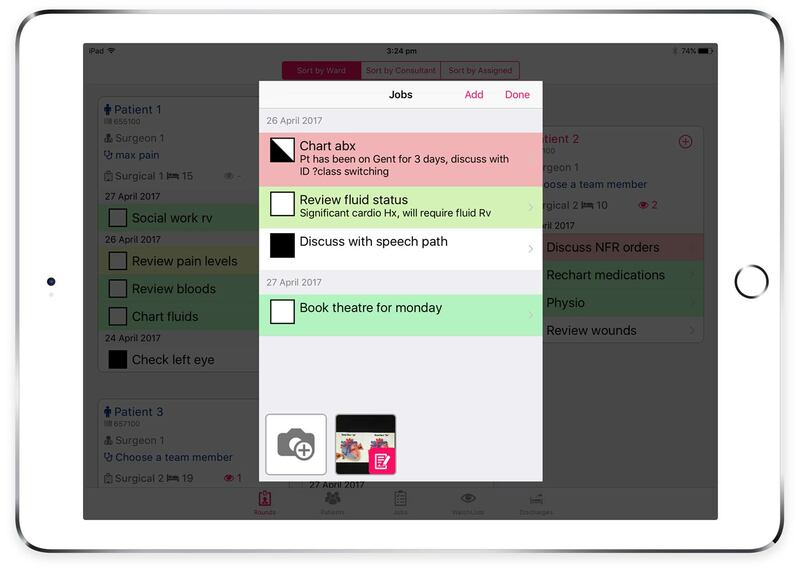 Work collaboratively on the wards and boost face-to-face time productivity with dynamic task syncing and prioritisation, custom watch lists and timed reminders to keep you on track. 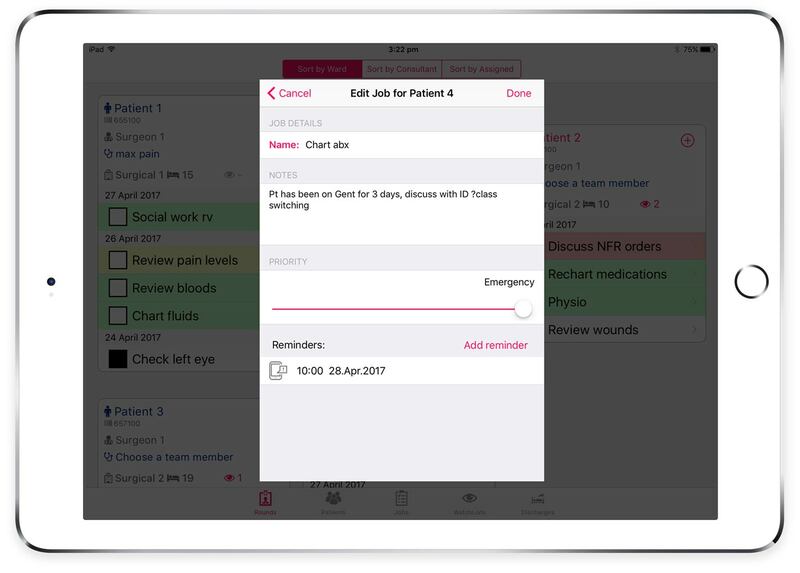 Bring the team’s day-to-day up-to-date with patient list checkboxes and simple views of task histories, clinical photos, patient watch lists and more. 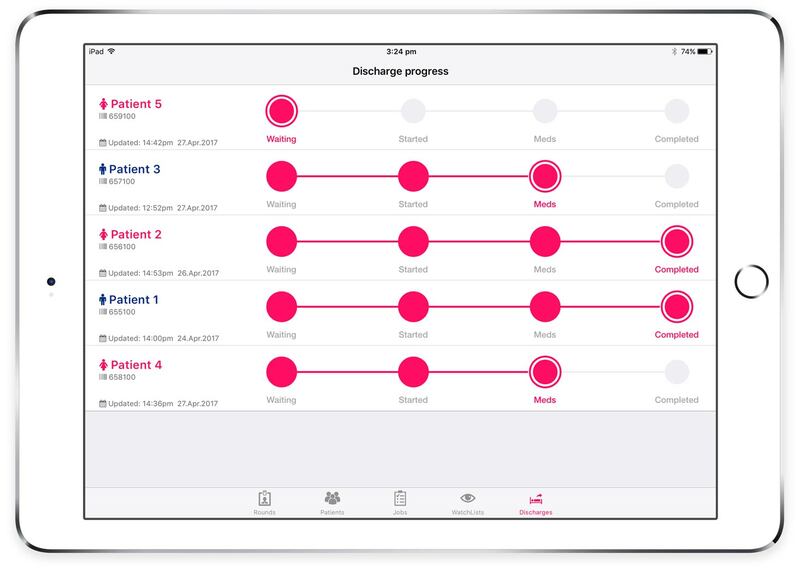 Rounds is a no nonsense team toolkit built to make clinician’s lives easier and optimise patient flow. 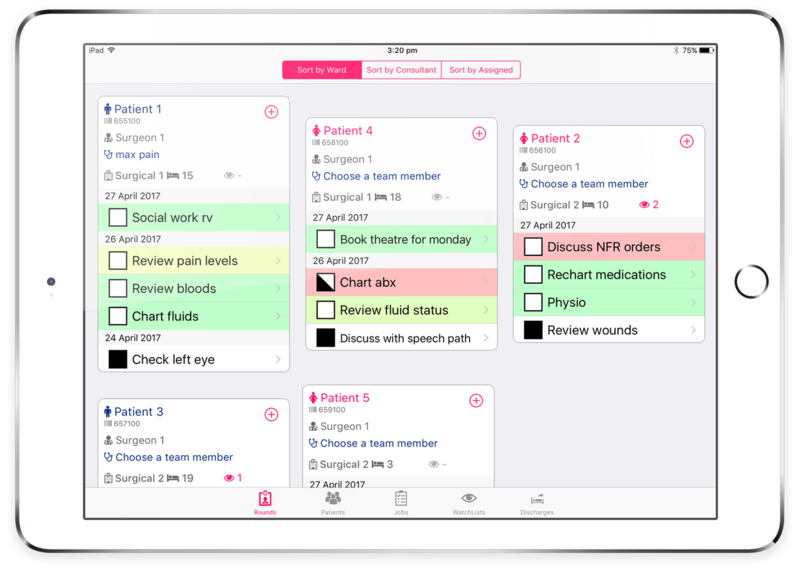 Bring the team’s day-to-day up-to-date with patient list checkboxes and simple views of task histories, clinical photos, patient watch lists and more. Rounds is a no nonsense team toolkit built to make clinician’s lives easier and optimize patient flow. 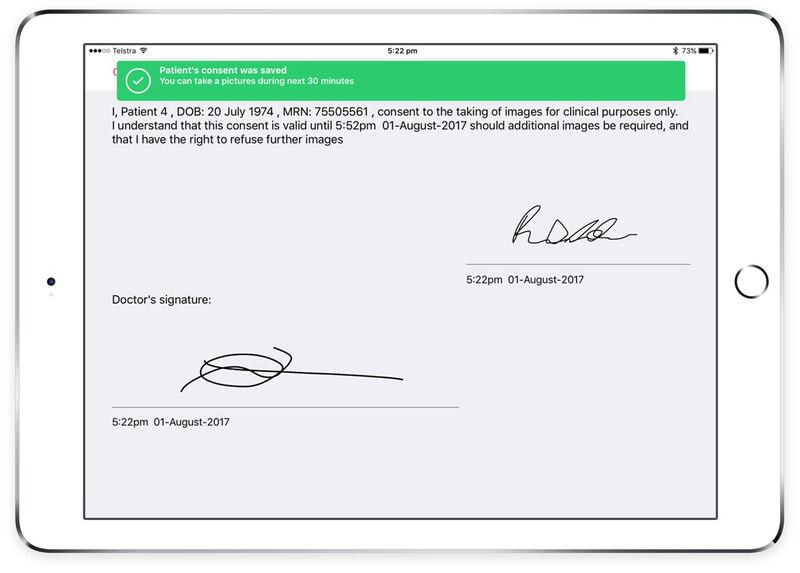 Do things ‘the right way’ and steer clear of computer work stations and printers with Round’s integrated patient consent forms for sharing clinical images within your team and sending them to the patient record.